The shortest and surest way to live with honor in the world is to be in reality what we would appear to be; and if we observe, we shall find, that all human virtues increase and strengthen themselves by the practice of them*. Headlines in newspapers across Australia on July 25th 2011 celebrated the awesome achievement of cycling’s new hero Cadel Evans, a man deeply committed to the ethos of his profession and chosen sport. 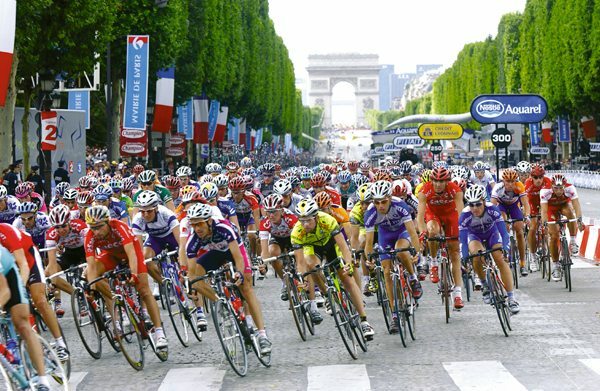 Through endurance, patience and above all persistence after more than a decade of trying he finally won on the 24th July Le Tour de France, the most demanding of all the cycling races around the world. Evans gave a performance of great éclat. He is the ultimate professional and celebrity in a global community that now offers him preeminence in the world of sport. Victory hymns were sung, following his appearance on the chic winner’s podium in the centre of the Avenue des Champs-Élysées at Paris, as he received his rewards. He came home to Australia on the 12th July and was honoured with a huge cadelabration at Federation Square in Melbourne, the capital of Victoria. Cycling along St Kilda Road in his yellow jersey accompanied by 20 young cycling hopefuls, the crowd certainly let out a loud Yell for Cadel, which became the catch cry of the day. 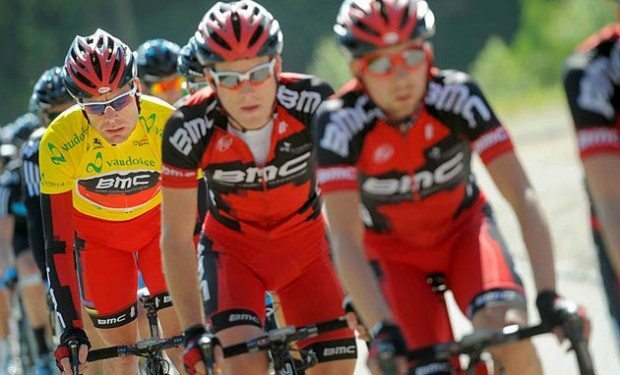 Cadel Evans story is about true love, about supporting each other’s weaknesses and admiring their strengths, which clearly Cadel Evans family does. They gave him 100% support and will feel nothing but proud and pleased they helped him reach the pinnacle of a career he is passionate about. His legions of fans would have no doubt celebrated loudly and long. They admire his status and clamour to touch him, to obtain his autograph or to have a photograph alongside this their favourite celebrity. For his sponsors he returned their investment many times over in promotion of the product. They should be able to apply a real dollar value to justify to their boards why they backed him and will also breath a sigh of relief as they congratulate him, and each other. At 34 years of age Evans is the first Australian to win this prestigious event. Now he has succeeded and won he will also have to embark on a balancing act endeavouring to keep his values and mores intact, while the fury of fame flows freely testing both his mettle as a man and as a societal role model. 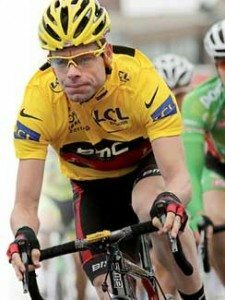 Cadel Evans whose name comes from the Welsh meaning appropriately “battle” is attractive to the whole community because he has worked hard for his victory. In all his interviews he displays great character, which is what one is – in his case a simple, modest man. He has also enhanced his reputation, which is what one is thought to be by others. Fame no matter how fleeting serves a purpose in community, by helping the advancement of society and improving the well being of many. It is about inspiring and motivating others and as boring as many may think, it is beneficial for the greater good. In the sensationalist style we have come to expect from a shallow media network, especially of late, host of Nine Network’s Today show Karl Stefanovic interviewing journalist, columnist, author, blogger and media consultant Mia Freedman invited her opinion on Cadel’s win. She said a great many things but saying ‘she didn’t care’ about what happens in community was sadly ill-informed and about as helpful as promising you would have helped after the race has been run. Every society needs role models and heroes. It’s how it works. What it does need is role models of good character for young people to look up to. 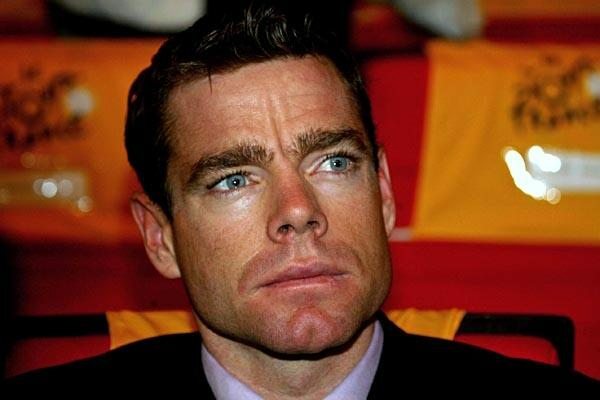 Cadel Evans is clearly that. University of Technology’s Associate Professor of Sports management, Daryl Adair, said in an interview with an Age reporter that Evans’s reserved approach did not offend anybody….”He’s very low on the wanker scale and I think that’s really important” Professor Adair said. It was the ancient Greek philosopher Aristotle (384-322) who said words to the effect ‘it is our task to become good men, or to achieve the highest human good’. But is that enough? How do we attain goodness without a sense of purpose or belief that there is something more? For centuries, when large parts of the earth were dominated by the absolute monarchies of the east, the Greeks were evolving their belief that a man must be respected, not as the instrument of an all-powerful overlord, but for his own sake. This ideal was wide and generous and its citizens devoted themselves to noble toil, to creating something new and splendid, and to keeping their bodies as fit as their minds. They strove to make order out of disorder and to live in harmony with their fellow citizens. They gave equal respect to mental and physical prowess because they believed the ideal life would be one spent in the pursuit of excellence in all things. Athenian statesman Pericles said ‘Each single one of our citizens in all the manifold aspects of life, is able to show himself the rightful lord and owner of his person, and do this moreover, with exceptional grace and versatility.’ This is what the Greeks meant by liberty and their ingrained belief in everyone’s right to freedom was sustained by a deep respect for personal honour, and nurtured by a love of action. Early societies developed writing so they would be able to accumulate ideas and knowledge about traditions they had established. 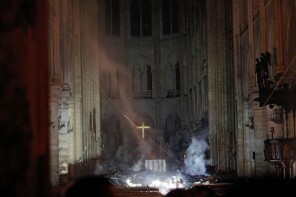 And as well they wanted to record experiences of the past to assist them in continually refining their conceptions so that they could secure the future of their culture and its people. For humanity to continue to prosper it must continue to have hope, to foster goodwill and to further develop our understanding of, and about each other. As part of a life long learning ethic we need to be constantly vigilant, to keep an open mind and ensure that we continue to mediate and inform change. Sport is a major aspect of life in Australia; football, athletics, tennis, cycling, cricket, swimming and so forth and we need those who will show the kids what it means to be a good sport and how to lose gracefully as well. 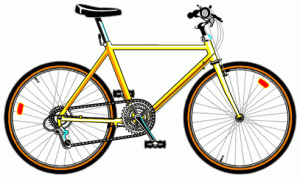 Cycling is a wonderful sport for the individual who is also part of a team, proving that the power of one still works and that in working together in all things we can all achieve success. The multidimensional and multicultural aspects of cycling are positive, fostering a good attitude and offering young men and women opportunities to gain both mental strength and inner well being. 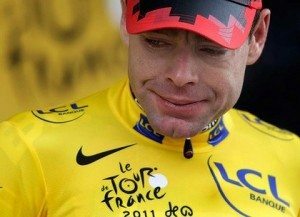 Well done Cadel. 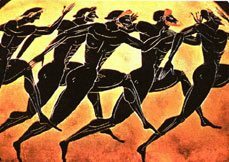 After your victory the wine would have flowed and the company as at the ancient Olympics, would have ‘raised a great cheer while the lovely light of the fair faced moon lit up the evening’. You gained so much respect when you stepped onto that podium speaking first in the language of your hosts the French. In so doing you honoured yourself and the customs and beliefs that are so central to their culture and existence. What a great ambassador you are for your country within the global community. Keep rewriting your own legend Cadel as you continue your life’s journey by going, and cycling well. 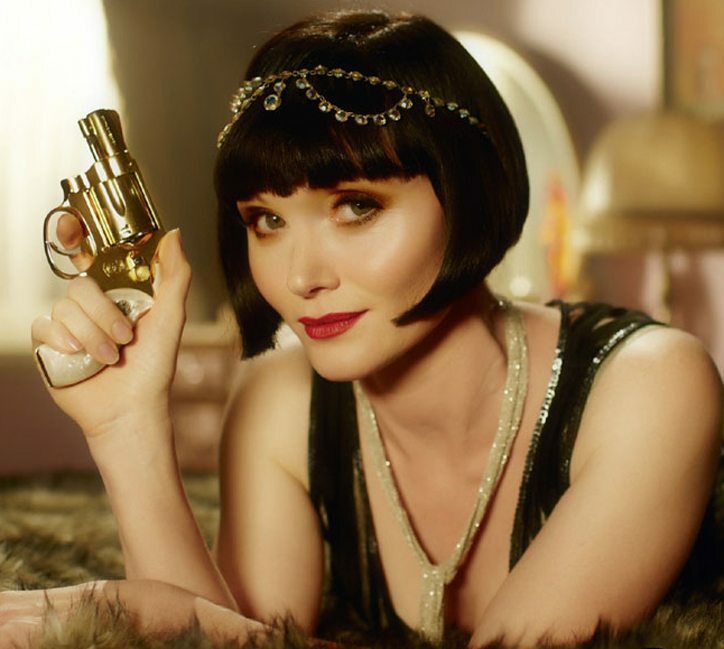 Festival of Phryne – Miss Fisher Takes Melbourne by Storm!